The Residence Inn by Marriott, Las Vegas Hughes Center, 370 Hughes Center Drive, is an excellent choice for anyone visiting Vegas for business or pleasure. 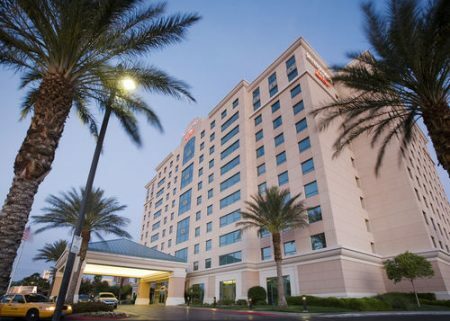 The Residence Inn by Marriott at the Las Vegas Hughes Center, sits about a kilometer from the world-famous Las Vegas Strip, making it an excellent choice for anyone visiting Vegas for business or pleasure. The staff are friendly and will help every customer to make the most out of their stay. 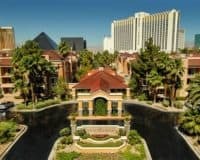 The amenities that the hotel offers are simple and functional and include a refreshing outdoor pool and hot tub, the perfect place to relax during the hot Vegas summers, a fitness room where you can maintain your usual regime or blow off some holiday steam. While business customers are sure to appreciate the high class and modern business center, which provides printing, photocopying and faxing facilities. As well as easily accessible WIFI throughout the property and free parking for those who bring their own vehicle. The rooms are comfortable and modern, coming with fully equipped kitchens that put you in control of your Vegas holiday and ensure that you don’t have to break the bank eating out every night. This blends with comfortable beds, flat screen televisions, and onsite bathrooms, to guarantee that you feel totally at home during your stay. 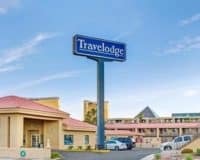 The Residence Inn by Marriott Las Vegas Hughes Center is a great choice for anyone visiting Las Vegas, who doesn’t want to break the bank on accommodation. Offering affordable accommodation, which is well-located and provides a great range of amenities for both business customers and pleasure seekers alike. Within 1 mi (2 km) of National Atomic Testing Museum and Las Vegas Convention Center. Within 2 mi (3 km) of the University of Nevada-Las Vegas and Thomas and Mack Center.